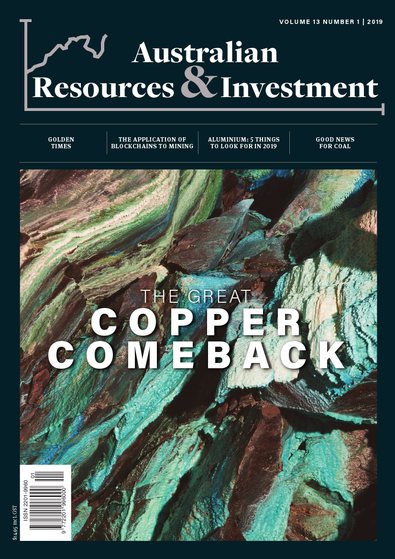 In the September edition of Australian Resources & Investment, we once again bring you cutting-edge insights into Australia's mining and resources sector. Included in this edition are feature articles from key industry players to keep you up to date on the happenings of the sector. Regular columnist Tony Featherstone discusses how small-cap miners are making strides in a gloomy market; Dr Ali Soofastaei, BHP, explores data’s role in the intelligent decision-making process and in improving the availability and monitoring of crucial equipment through predictive analysis; and Justin Williams, CRU Analysis, considers how government policies are impacting supply and demand in the bauxite market. Also included in this edition are current commodity analyses, major trends and changes in the industry, and much, much more. I have a great interest in mining, especially precious metals. I have found this magazine to be very comprehensive and informative.